Chinese charities tell government “We can help"
Authorities and animal lovers in China have come together to try and stem incidents of dog cruelty that have made headlines at home and abroad. 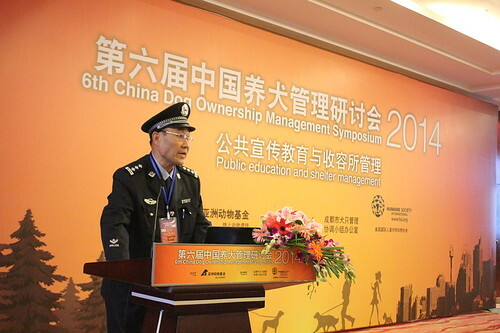 Animals Asia's Dog Ownership Management Symposium included 150 representatives from government departments and animal protection groups from all over China, coming together to find solutions to animal management issues. With expertise available in the form of NGOs such as Animals Asia and an increasing number of grass roots Chinese charities – the message was: "We can help". 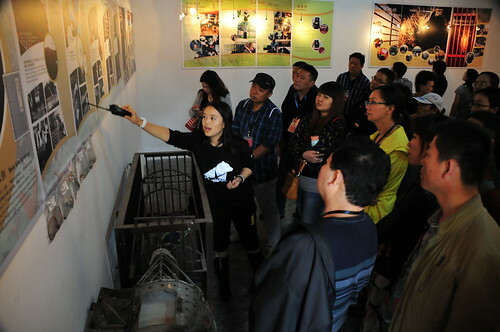 "This year's symposium has seen a step change in the way China's NGOs and government departments are communicating regarding animal welfare. While NGOs have typically been treated with caution by the authorities, we're starting to see the two sides working together more effectively to deal with China's problems. "As an example, China has a huge problem with stray dogs – so we offer advice and assistance that provides long-term solutions. Too often in the past, 'quick-fixes' have meant cruelty and bad publicity." Chinese society has been divided in recent years by a widening gap between regulations regarding the treatment of animals and the demands of a growing animal welfare movement. While China is regularly criticised abroad for its lack of animal welfare laws, many formal regulations for animal management have also come under criticism at home. In central Beijing, a ban on canines larger than 13.7 inches incensed dog lovers and animal advocates. The legislation left some Beijing residents hiding large breed canines in their houses to avoid nighttime raids by government dog snatchers. Government animal culls have also prompted criticism. Due to a lack of animal programmes such as neutering, spaying and vaccinating, the Chinese government has traditionally resorted to culls to control disease and population. While recent years have seen this approach greatly reduced, smaller cities still see culls. Most recently, 5,000 dogs were exterminated in Yunnan province earlier this year, following a rabies outbreak that killed five people. "This symposium has given NGOs and authorities a rare platform for communication and the sharing of ideas – ideas that can deal with the issue pro-actively at the source, rather than deal with incidents reactively, or on a case-by-case basis." "The success of this platform since 2009 shows that change is possible if viable alternatives are presented. 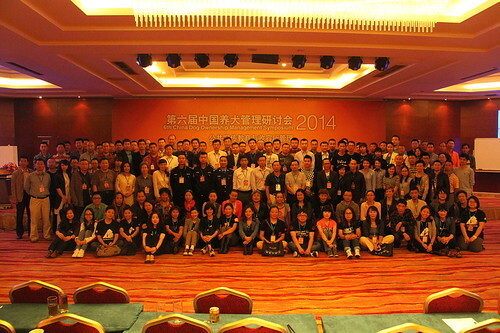 China's dog management has definitely improved since we first started these events. 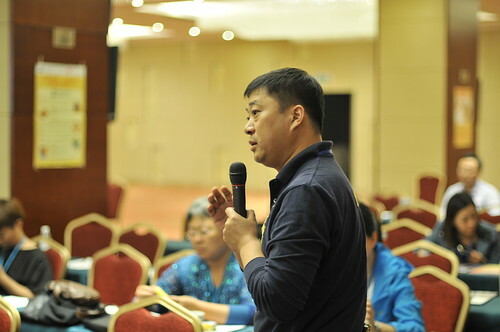 There is still a very long way to go, but the Chinese authorities have shown that they are willing to collaborate effectively with NGO's and implement policy changes." 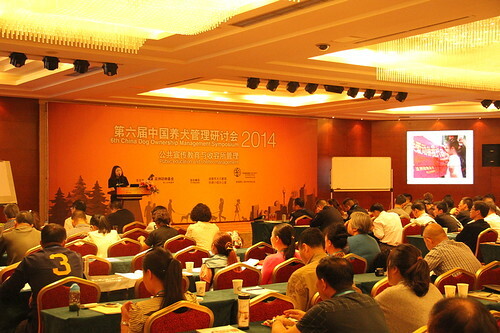 Animals Asia has annually hosted the China Dog Ownership Management Symposium since 2009. Regular communication at the symposium between NGOs and the authorities has yielded increasing trust and the cross-pollination of ideas. Recent improvements in dog management have seen the introduction of dog ownership regulations specifically forbidding abuse and abandonment of animals. The construction of government-funded dog shelters as well as cooperation between local authorities and NGOs to help house strays has also proven successful through the promotion of free adoption and widespread public education on the responsibilities dog ownership.